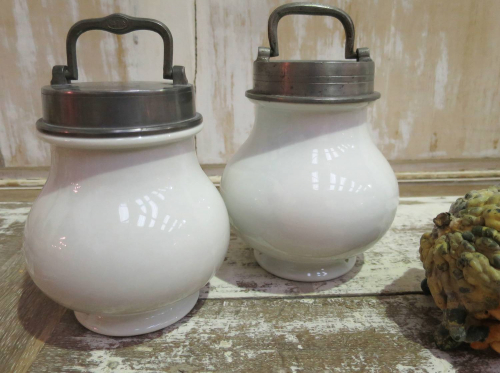 A rare pair of 19th c French white heavy porcelain `Marmite` cooking Jars with beautifully crafted pewter screw lids. Holes in base are to hang the full jars upside-down in boiling water for many hours! It`s a French thing!